Many consumers who purchased SimCity this week have discovered that they have a lot in common with those who didn’t buy the latest addition to the long-running simulation franchise. Specifically, neither of these two groups of people currently have the ability to actually boot up and play the game. For non-buyers this is an obvious result of not actually having a copy of SimCity. For Electronic Arts’ loyal customers, this is the result of the company’s inability to provide an adequate number of servers, combined with the publisher’s decision to make the game a DRM-filled, online-only, anti-consumer nightmare. Trouble on the SimCity homefront started as soon as the game launched in North America on March 5th. Buyers were greeted with 30 minute queues just to get into the game, thanks to the DRM that requires the software to be connected to EA’s overloaded servers in order to run. At the time, EA promised that they were “making changes to prevent further issues” and they were “confident” that Origin would be stable in time for the international launch (which is scheduled for later today). Far from being fixed, the next day many buyers were reporting that they had been kicked out of their games due to “server maintenance” which was scheduled to end at an unspecified time. That leads us to today, where Electronic Arts is claiming to be working “24/7 to resolve issues” by “deploying more servers over the coming two days”. Why EA failed to conceive and implement the brilliant plan of having enough server capacity prior to SimCity‘s launch is a mystery. Finally, while EA is desperately struggling to beef up their SimCity servers, we are now getting unconfirmed reports from EA forum users who are claiming that the publisher is flat out refusing to issue refunds for the broken game — even though they stated in a press release that they would refund unhappy customers. On top of that (if the reports are accurate), at least one user has been threatened with being banned from their Origin account — which would result in them losing all access to any software they “purchased” though Origin — if they commit the sin of disputing the charge for SimCity with their bank. For years Electronic Arts and certain other video game publishers in the industry have dreamed of turning their consumer products into services. 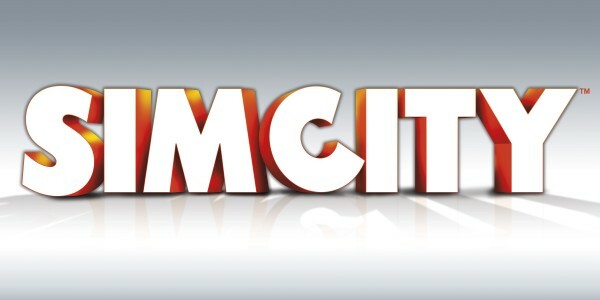 SimCity is the realization of that dream, and it is anything but for customers. Video games like SimCity are no longer things you buy, but services you are temporally licensed to access. As such, EA is not selling a defective product that should be refunded, but simply providing a poor quality service that they promise will be better in the future. The other nice thing is that these licenses can be taken away at any time, for almost any reason, and there is very little that the customer can do about it thanks to Terms of Service (TOS). At some point I’m positive that EA will fix all the current problems with SimCity and its servers, however, these issues still represents a bleak future for gamers. Once upon a time you owned the video games you bought and had certain rights because of that. It’s a bit of wishful thinking on my part, but I’d really like to get back to that.